Lotus Racing is looking forward to another solid performance at the Petronas Malaysian GP in Sepang this weekend said its Deputy Team Principal SM Nasarudin. After Heikki Kovalainen finished the Melbourne Grand Prix in 13th place, the team is confident it can build on its strong start to the season at the third round of the 2010 Formula One™ World Championship, Lotus Racing’s first race at home in Malaysia. “We expect the race in Sepang this weekend to be another exciting outing for Lotus Racing. Heikki’s finish, just three places away from earning our first point in Melbourne, gives us a good boost for the coming race in Sepang,” SM Nasarudin said. Kicking off the team’s week in Malaysia, Lotus Racing today held a homecoming celebration at the Pavilion Kuala Lumpur where all three drivers – Jarno Trulli, Heikki Kovalainen and Fairuz Fauzy – unveiled the stunning green-and-yellow Lotus Cosworth T127 for the first time to their Malaysian fans. There to witness the momentous occasion were Former Prime Minister Tun Dr Mahathir Mohamad and Youth and Sports Minister Dato’ Ahmad Shabery Cheek. They were joined by Lotus Racing Deputy Team Principals SM Nasarudin and Dato’ Kamarudin Meranun, Proton Holdings Berhad Group MD Dato’ Syed Zainal Abidin Syed Mohd Tahir, as well as Sepang International Circuit Chairman Dato’ Mokhzani Mahathir. The Lotus Cosworth T127 is on display at the Pavilion’s main concourse area from 3pm to 10 pm today and it will be the first opportunity for F1™ fans in Malaysia to catch a glimpse of the machine since it was launched in London on 12 February. “This is the real Lotus Cosworth T127 that will be racing in Sepang on 2-4 April. 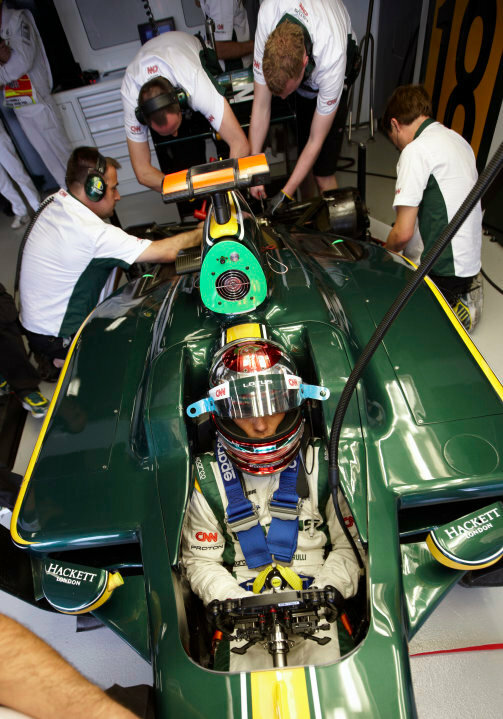 This is a very rare opportunity for our fans to see our actual car up close” added SM Nasimuddin. Apart from an autograph session with drivers Jarno Trulli, Heikki Kovalainen and Fairuz Fauzy, Lotus Racing merchandise is also on sale for the first time during the event. 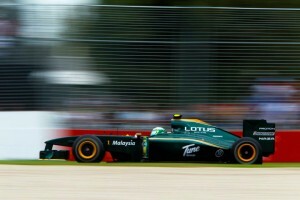 The team also launched the Malaysian Chapter of the official Lotus Racing Fan Club. On the side of the celebration is a photo gallery containing some rarely seen photographs that provide a chronology of the team’s history, development and progress. The Lotus Racing team was announced by Prime Minister Dato’ Sri Najib Tun Razak in September 2009. 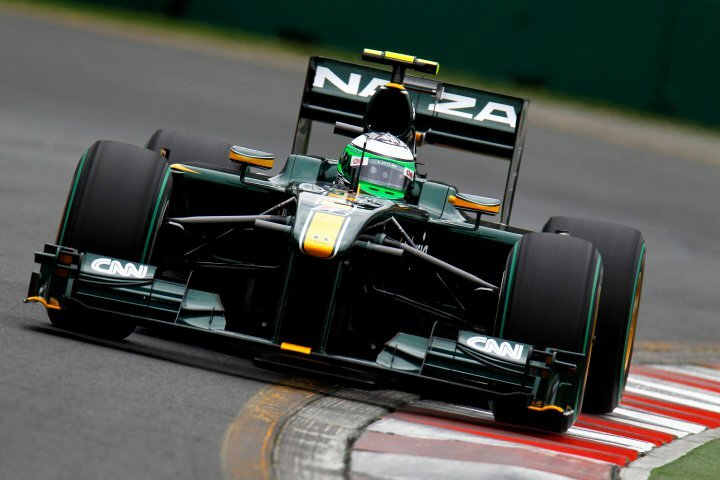 Currently based in Norfolk, UK, the team launched its lean, green racing machine in London on 12 February 2010, exactly month before its maiden race in Bahrain and five months to the day after they received confirmation of their entry into the 2010 Formula One™ World Championship. A private investment by Malaysia’s leading entrepreneurs, Lotus Racing’s current partners and sponsors include Proton Holdings, which licences out the use of the Lotus brand name to the team, Tune Group of Companies, of which Team Principal Dato’ Sri Tony Fernandes and Deputy Team Principal Dato’ Kamarudin Meranun are co-founders, Naza Group of Companies of which SM Nasarudin is Group CEO, Bridgestone, Hackett and CNN. A mixed day for Lotus Racing at the Melbourne Grand Prix saw Heikki Kovalainen finish the race in 13th place, once again ahead of the other new teams, but Jarno Trulli failed to make the start due to a hydraulics issue on the grid. 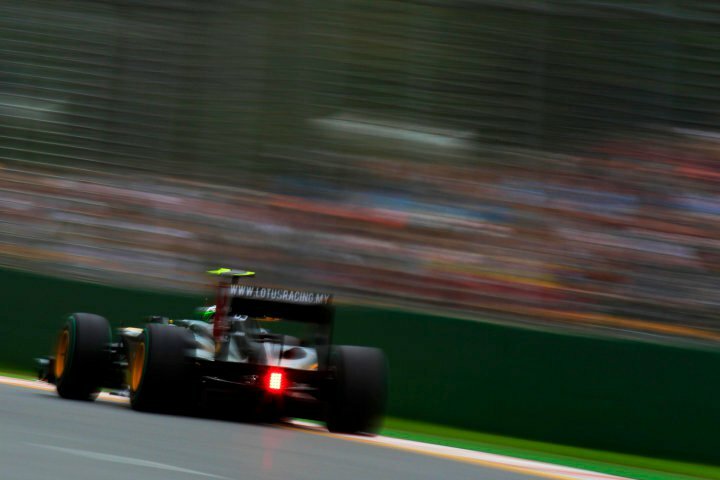 The rain held off for Saturday’s running in Melbourne as Lotus Racing took to the track in earnest, keen to maintain their ‘best of the new teams’ record. Throughout the 3rd Practice both cars ran well, with Italian driver Jarno Trulli finishing with a time of 1.29.800 after 16 laps and Heikki Kovalainen completing 19 laps on a best time of 1.29.539. In qualifying itself Lotus Racing successfully maintained their record of best new team, finishing with Heikki Kovalainen 19th on 1:28:797 and Jarno Trulli 20th on 1.29.111. Each marker on the map represents a zipcode that has at least one GGLC member. The size and colour of the markers varies based on the number of members in each location (darker and larger = more members). You can also get the information about the marker by clicking on it to get the name of the location as well as the number of members. You can also click here to see a larger version of the map or click here to see a zoomed in map showing the Bay Area. 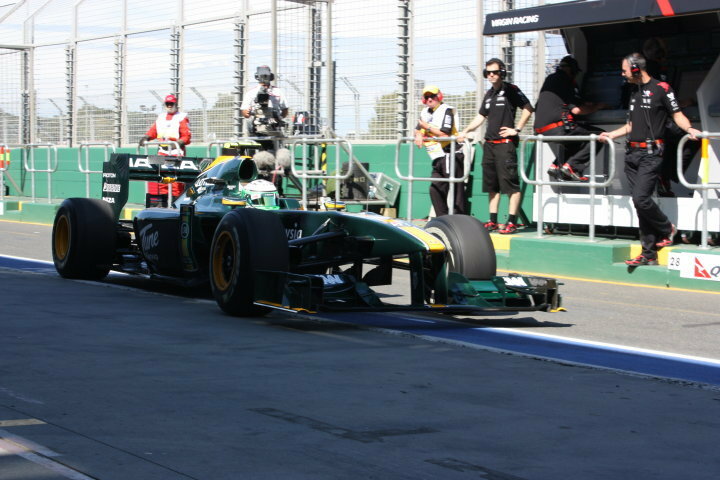 A sunny day in Melbourne welcomed Lotus Racing to their first practice session of round two of the 2010 Formula One™ season. 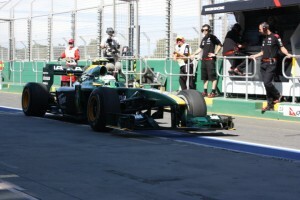 Both drivers were keen to get going and test the cars on the semi-street track of Albert Park, and once again, a Lotus Cosworth was out first, Jarno Trulli being first car on track. The second practice session on Friday afternoon in Melbourne began under cloudy skies with light rain falling, curtailing track time for Lotus Racing throughout the afternoon session. Despite this the team ran a solid session and finished ahead of both other new teams having completed a total of 32 laps in second practice, with Jarno Trulli finishing the session 20th (17 laps / 30 laps total) with a best time of 1.30.695 and Heikki Kovalainen 18th on 1.29.860 (15 laps / 41 laps total). Mike Gascoyne, Lotus Racing Chief Technical Officer: “Obviously the second session was affected by rain, which made it difficult, but we were able to run both types of tyre and get a feeling for how they both behave. Overall not a bad day – we got through most of our program, despite the conditions in the second session, so I’m pretty pleased. 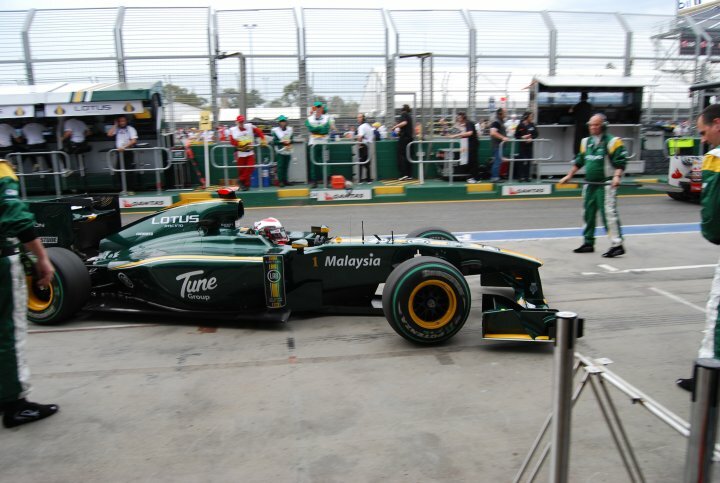 Lotus Racing arrived in Melbourne, Australia, set for round two of the 2010 Formula One™ World Championship. After exceeding expectations for a six month old team in Bahrain, with both Jarno Trulli and Heikki Kovalainen’s cars being classified and being the only new team to see one of its cars past the finish line, attention now turns to Albert Park’s street circuit and the challenges that it presents. After such a great opening performance the atmosphere in the team is better than ever and the huge number of visitors dropping by to say congratulations in Melbourne, and the massive volume of fans giving fantastic feedback online, attests to the ever growing popularity of Lotus Racing from within the sport, amongst F1 fans, and in the growing number of general sports fans being attracted to such an open, honest team. Heikki Kovalainen: “After Bahrain I decided to go back to my European home in Switzerland, and spent nearly a week there. First, obviously, I was recovering from the Bahrain Grand Prix and then I had a few good training sessions before a quick day trip to Helsinki in Finland to meet some media. Then we flew to Australia on Saturday, and have been here since then; getting used to the time zone and doing a little bit of training and playing some golf while enjoying the sunshine. “It’s very good to come here, the Australians are always very very friendly people. At the gate there were hundreds of people lined up waiting for the drivers to arrive and it’s such a festival atmosphere. The weather always seems to be great here too, usually sunny, and it’s good to come from the European winter to the sunshine and enjoy the city. It’s a great city, so many cool restaurants and there’s always plenty to do, so you could never get bored here. “Albert Park is a very different circuit in comparison to Bahrain; it’s a semi-street circuit, so the surface is different, and the grip – especially on Friday morning – will be quite poor initially, but will improve quite a lot throughout the weekend, so we’ll need to keep on top of that and perhaps adjust the set up a little bit. Again, with a street circuit, the walls are very close to the track so you have to be up to it – you can’t just brake as late as possible and miss the apex and then try a bit better and brake a little earlier. You’ve got to go little by little and hopefully nail it in qualifying. Jarno Trulli: “After Bahrain I went back to Europe and stayed in contact with the engineers to analyse the hydraulics issues we had in the race in Bahrain, try to see how we could improve the performance of the car and review the general operations of the team during the race weekend, which were really good! “Then I flew into Australia on Sunday night, so I’m still a little bit jetlagged – it’s a pretty hard trip coming over here – the ten hour time difference means it’s always difficult to adapt, but we just have to get on with it. “On previous visits over here I’ve made a few trips out to the countryside, having a look at the local vineyards and enjoying the weather. I love coming here – Australia’s a great country with great people, so I always enjoy myself here. It’s also good to try some good wines, some different local varieties, but I still prefer my own wine…..
Mike Gascoyne, Lotus Racing Chief Technical Officer: “Since Bahrain we’ve been working very hard back in the factory, pushing further on the new package for Barcelona, so the guys have been working hard in the wind tunnel as well as focusing on the expansion of our drawing office. We’re in the process of closing down the drawing office in Cologne, which means migrating all the data as well as the ongoing work. On top of all that we’ve been looking at some of the problems we had in Bahrain and how we can fix them, so overall we’ve been very busy. “Obviously doing all that and then coming straight to Australia, having to deal with the jetlag, the distance and the time difference isn’t easy, especially as you get older, but it is part and parcel of the job and you just have to get on with it. “One thing I really have enjoyed has been the feedback to the tweets we put out over the race weekend in Bahrain. Tony Fernandes has said he wants us to be very open as a team, and do things a little differently, so we’ve started doing that with Twitter and it’s something we’ll do more of in the future. Boardwalk Lotus is hosting a tech session for GGLC members on Saturday, April 24th.. Arrive at 9:30 for refreshment. Tech Session will be conducted by Boardwalk’s Lotus factory trained technician. 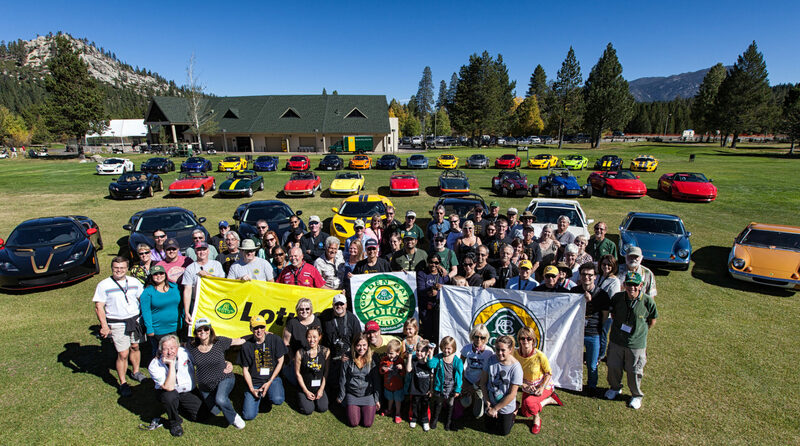 The session will cover new development and changes in the 2010 Elise and Exige, prep tips for Track Days and Autocrossing and Maintenance tips for the Elise and Exige. After the session we’ll take a short drive and stop for lunch.